The Women’s Media Center works to make women visible and powerful in the media. We do so by promoting women as decision-makers and as subjects in media; training women to be media-ready and media-savvy; researching and exposing sexism, racism, and fakery in media; and creating original online and on air journalism. SheSource is a database of over 1,340 women experts with media experience, run by the nonprofit organization, the Women’s Media Center (WMC). Free to use, it connects journalists with sources across all industries, championing competent female voices of different backgrounds, ability and geography – although, at the moment, it is mostly U.S.-focused. The Department of Homeland Security announced that over 2,000 kids have been taken from their families following the Trump administration’s zero tolerance policy towards illegal immigration. To discuss, we SPOTLIGHT Pamela Chomba. Pamela is a Dreamer and activist, born in Lima, Peru. 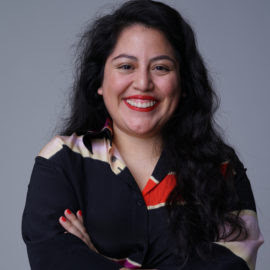 While working in Texas (2014) for a an electoral campaign, she realized she could not fix the electoral process if 11 million undocumented immigrants lived without status, including families with U.S. citizen family members, like her own. Through story-sharing trainings and advocacy, Pamela mobilized support for Dreamers in the Northeast to speak to Congress and demand a legislative process that will also grant her a pathway to citizenship. Pamela is Northeast Organizing Director for FWD.org. Media includes: ThinkProgress, Bustle, CUNY TV.